LAIKA has become the world’s most ambitious, creative and fearless animation studio. 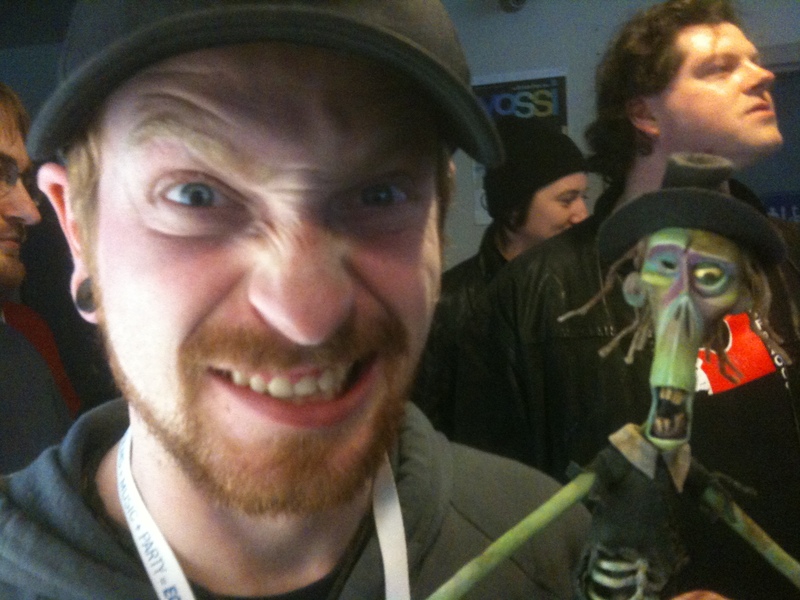 In his presentation featuring rarely viewed behind-the-scenes footage, Mark Shapiro will talk about the remarkable creativity at LAIKA, from the CG-classic Moongirl (2005) to the two Oscar-nominated stop-motion features ParaNorman (2012) and Coraline (2009). 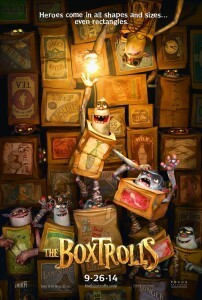 The studio’s next film, The Boxtrolls, will debut in theaters on September 26, 2014. Production puppets will be on display. LAIKA is an animation studio specializing in feature films, commercials and shorts. Travis Knight serves as President and CEO of the company, which is owned by Nike co-founder and Chairman Philip H. Knight. More information: www.laika.com. The Boxtrolls is a stop-motion animated feature based on Alan Snow’s best-selling fantasy adventure novel Here Be Monsters. Directed by Anthony Stacchi and Graham Annable, produced by David Ichioka and Travis Knight. The voice cast includes: Ben Kingsley, Toni Collette, Elle Fanning, Isaac Hempstead-Wright, Jared Harris, Simon Pegg, Nick Frost, Richard Ayoade and Tracy Morgan. The Boxtrolls is a comedic fable that unfolds in Cheesebridge, a posh Victorian-era town obsessed with wealth, class and the stinkiest of fine cheeses. Beneath its charming cobblestone streets dwell the Boxtrolls, foul monsters who crawl out of the sewers at night and steal what the townspeople hold most dear: their children and their cheeses. At least that’s the legend residents have always believed. In truth, the Boxtrolls are an underground cavern-dwelling community of quirky and lovable oddballs who wear recycled cardboard boxes the way turtles wear their shells. The Boxtrolls have raised an orphaned human boy since infancy as one of their dumpster-diving and mechanical junk-collecting own. When the Boxtrolls are targeted by a villainous pest exterminator who is bent on eradicating them as his ticket to Cheesebridge society, the kind-hearted band of tinkerers must turn to their adopted charge and an adventurous rich girl to bridge two worlds amidst the winds of change – and cheese. Distributed by Focus Features.